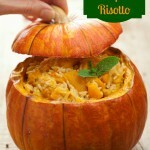 This wicked easy Slow Cooker Pumpkin Risotto Recipe will take all the fear out of cooking risotto. 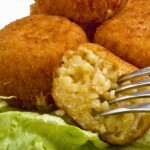 Risotto, that yummy gourmet comfort food, has intimidated a lot of cooks, including me. After seeing an enraged, cursing Chef Gordon Ramsey throw a sauté pan full of risotto into the garbage while Hell’s Kitchen competitors look on with wide eyed shock, you definitely get the impression that you should be terrified to attempt risotto. Risotto also gets a bad rap because it is very time consuming, needing to be stirred and added to constantly for at least 20 – 25 minutes. What busy Mom has that kind of uninterrupted time on her hands while getting a meal ready? But if you really think about risotto, and why it needs time and attention, it really lends itself to crock pot cooking. Yes, I know that there are going to be “Risotto purists” who will think that my method is a sacrilege and my reply to them is, “get over it” no one says you have to do it this way. Just keep stirring and enjoy your recipe. I’m just suggesting there is another way. Anyone who has had my version of risotto hasn’t complained. I rest my case. It’s Pumpkin recipe time. Officially it’s fall, but to be totally honest, here in the Maine Northwoods it’s felt like fall since Labor Day weekend. We’ve already had three heavy frosts. The first was in the latter part of August. Pumpkins are one of the last vegetables we harvest from our garden because here in the northern tier of the US, the growing season is short and pumpkins grow so slowly. So I’m digging out my pumpkin recipes (I have quite a few) for the fall season. 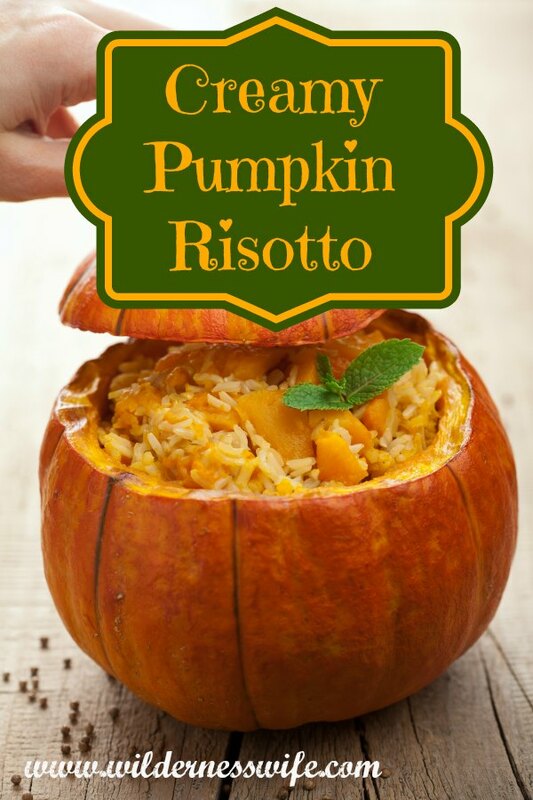 I love cooking with pumpkins and so I have developed my own Pumpkin Risotto, which can add a whole new flavor to Thanksgiving dinner or make any evening dinner an event. 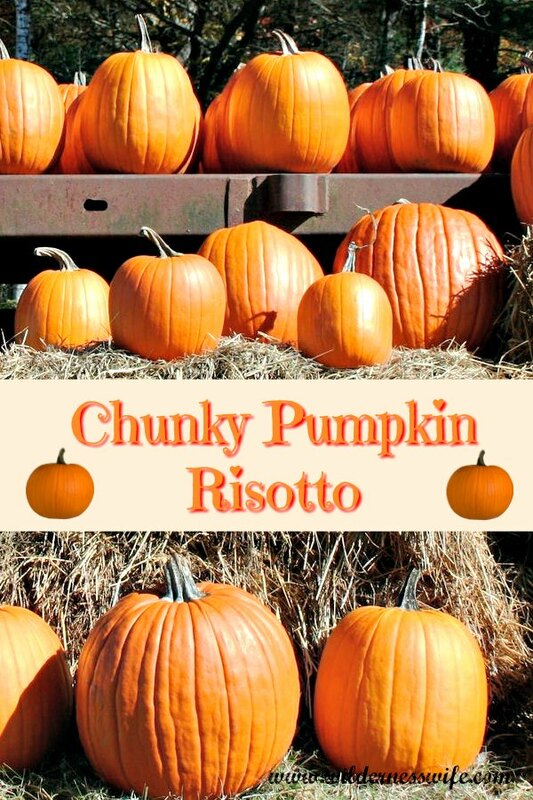 And at the end of this article, you’ll find links to a few of my other pumpkin recipes and my Slow Cooker Recipes. I love using my CrockPot year round. It’s a great solution to a busy work day for any mom. 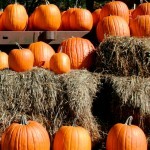 Try this pumpkin recipe for a new autumn side with great flavors. 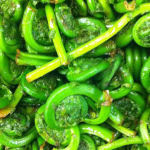 It will enhance any fall meal with a very comforting and filling dish. In a sauté pan, sauté the diced onion in 2 tablespoons of the olive oil until almost translucent. Add garlic and sauté for 1 minute longer. Use the remaining tablespoon of olive oil to oil the inside of a crock-pot. In the crock pot, gently combine the sautéed vegetables with the Arborio Rice. Be sure the rice is coated with olive oil. Add pureed pumpkin, herbs and chicken broth and stir to combine. Cover and cook on low for 4 hours, stir once at the 2 hour mark. After 4 hour cooking is completed, stir in the grated Parmesan cheese and roasted pumpkin chunks (For info on roasting pumpkin see directions below). Stir it all together, cover and let sit for another 5 – 10 minutes, then serve and enjoy. Quarter, seed, and peel the pumpkin. Cut into chunky 1″ cubes. Add the olive oil, salt, pepper & cumin – mix well, making sure that all the pumpkin pieces are coated in olive oil. Serve in chunks or puree in food processor. If liquid is needed, use chicken stock.